Volcanoes don't have the best of reputations... Yes, we know that's hardly a surprising statement given that they have devastated entire cities and once kept all flights across Europe grounded for days on end. But with so much going against these fiery mountains, we thought we'd try to clean up their image. 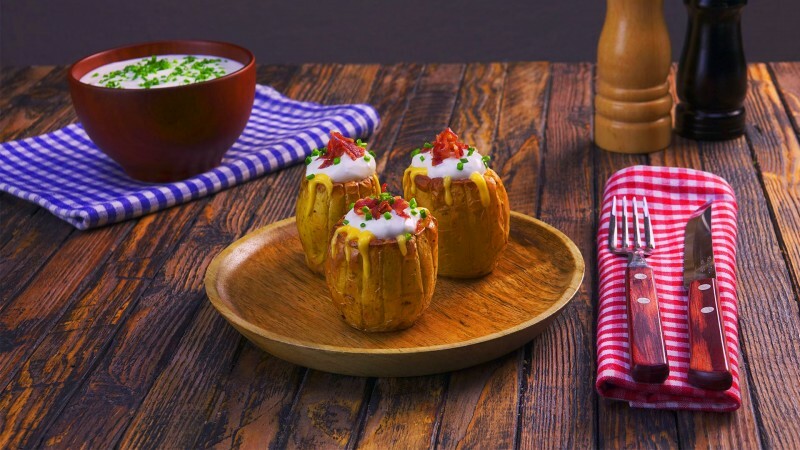 That's why we've come up with a tasty stuffed potato recipe that'll have heads turning at your next barbecue. So what's that got to do volcanoes, you ask? Well, you'll soon find out when things start to heat up! 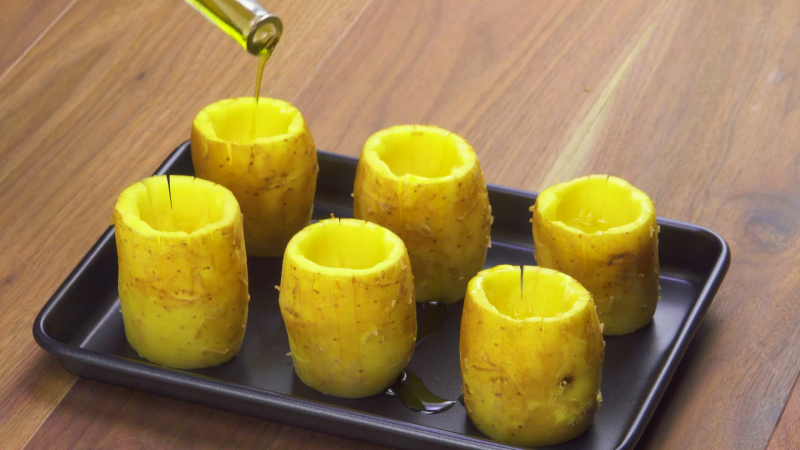 Cut a small piece from both ends of the potatoes so that they can be stood upright. 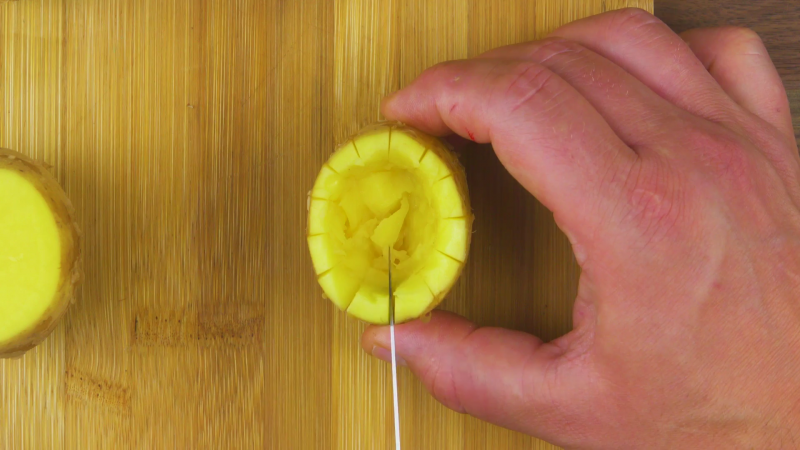 Then use a knife to cut a small cone from each potato before scoring the edges. Pour some olive oil onto the potatoes and season with some salt. 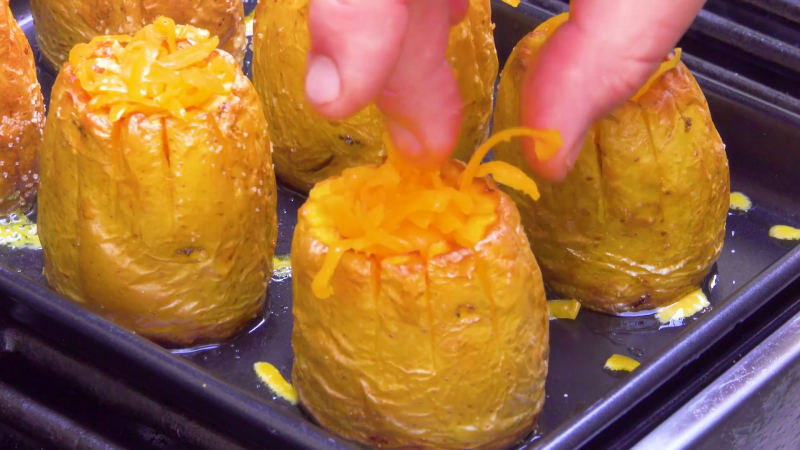 Grill the potatoes in an upright position at 390°F for 40 minutes. Now fill the potatoes with bacon before adding some cheese on top and baking for 10 more minutes. To finish, add a dollop of sour cream garnished with more bacon and chive on top.